You have selected Ireland as your destination country. We aim for excellent customer satisfaction and do everything to ensure that shipping costs are as transparent and as easy to understand as possible. We will endeavour to dispatch all orders within 24 hours except for Custom Fit Clubs, Personalisd balls and other customised products which are built exactly to your specifications - please allow an extra 7-12 working days on top of standard delivery times. Orders received before 1.00pm (Monday - Friday) will qualify for same day dispatch. Orders received after 1.00pm on Friday will be dispatched on the following Monday (Excluding Bank Holidays). Please note that the shipping cost applies to one parcel only. Should your order need to be shipped in two or more parcels (i.e. large or bulky items) then you may be asked to pay the shipping for these extra parcels at the normal rate for your country. We will of course contact you to discuss this. Tracked Express Delivery within Ireland with GLS. Most orders will be dispatched within 24 hours. It may take 4-7 working days for delivery. Orders received before 1.00pm (Monday - Friday) will qualify for same day dispatch. Orders received after 1.00pm on Friday will be dispatched on the following Monday (Excluding Bank Holidays). 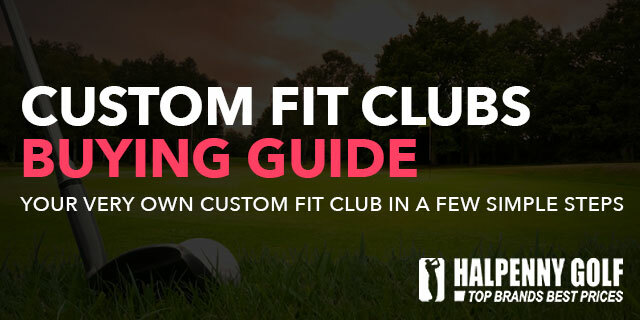 Custom Fit Clubs, Personalisd balls and other customised products are built exactly to your specifications - please allow an extra 7-12 days on top of standard delivery times. If you have ‘Clearance’ items in your basket, please allow an extra 48 hours for delivery, as we may have to transfer last remaining stock from one of our stores or reserve warehouse.